Angels of Care Pediatric Home Health is a leading provider of private duty nursing, skilled nursing, therapy, and attendant care in Texas. Angels of Care’s corporate office is located in Sherman, TX with 13 other locations spread across the state; Austin, Amarillo, Abilene, Houston, Lubbock, Tyler, Texarkana, Wichita Falls, San Angelo, San Antonio, Dallas, and Fort Worth. Angels of Care has been providing private duty nursing since 2000. They are proud to hold their nurses; RN’s and LVN’s, in high regard. 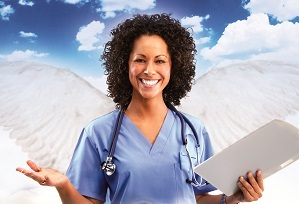 Angels of Care hires RN’s and LVN’s daily. All nurses are screened and interviewed to ensure only the best quality nurses are caring for the children they are trusted with. Angels of Care Pediatric Home Health tests all of its nurses to ensure clinical competency and knowledge. The testing provided is not just written testing but hands on with state of the art training dummies and equipment. Training is provided to all RN’s and LVN’s hired to provide private duty nursing at Angels of Care Pediatric Home Health. Nurses receive training in the office and in the homes of the clients to ensure that the children get nothing but the very best care. In addition to that training, Angels of Care Pediatric Home Health also provides advanced training for their nurses to ensure competency in the care and maintenance of ventilators and tracheostomy tubes. Angels of Care provides this training under the instruction of Certified Respiratory Therapists. Vent and trach training is provided in the classroom setting using all of the equipment and supplies used in the home and then each nurse is also trained in the home of the client to ensure complete competency. Angels of Care prepares their nurses and values them to ensure longevity so that once a child finds the perfect nurse, the relationship is permanent. Using these valuable RN’s and LVN’s, Angels of Care Pediatric Home Health is able to provide private duty nursing in the homes of thousands of families across Texas. Private duty nursing enables families with children with special needs to receive the benefits of medically trained personnel in their home for extended periods of time. Private duty nursing means an RN or LVN will be in the child’s home working with the child one on one for several hours. Some children require 4 hours per day while some medically fragile children require 24 hour care, seven days a week. Angels of Care Pediatric Home Health strives to be the best provider of private duty nursing in Texas. Angels of Care is family owned and operated and has the experience to ensure that special needs children in Texas receive the best possible care.